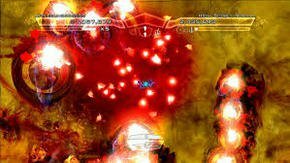 Even though Geometry Wars was launched 9 years ago, two-stick shooter games are still popular at Blitz Arcade . The latest game to join and try to earn from this much-raved about craze is PowerUp Forever. Understandably, PowerUp forever also developed its own features so it stands out from the other games of this genre. It advertises itself as having unlimited enemy battalions and ships that transform accordingly. Unfortunately, these features are not enough to make up for only a few game mode options available and the absence of multiplayer opportunity. PowerUp Forever was drafted as such that ships will be fitted with new and unique armaments after every level. This upgrade would then change the appearance and size of the ship. The concept is also applicable to the enemies and level design. 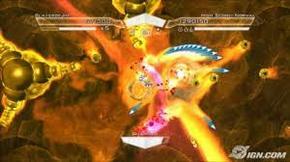 In a nutshell, the game's concept is that the gamer is a free-floating ship shooting at parasites in an unending abyss, so the game continuously produces objects the parasite can cling on to. Although this sounds promising, it doesn't have the expected impact when you are actually playing the game. There are no noticeable changes in gameplay in different levels and the upgrades doesn't really change much of your ship. The good thing with PowerUp Forever is its art style, which changes flavors and color temperatures of each level. Unlike the most popular arcade games , the main problem is in the game style. Players really cannot feel a change in game play even if they reach high levels. There are variations offered but it doesn't justify the cost of $10. The bonus modes also need to be unlocked first before it can be played, and casual players may have difficulty meeting the requirements. To make up for its flaws, the developers included defensive options and several weapons that multiply as go along but it just isn't enough. You still need to budget the weapons and not everything is at your disposal any time you want to. Clearly, PowerUp Forever's only strength is its art style. If you disregard the vibrant colors and patterns at each level, all you have left is a boring gameplay that makes for a less-than-spectacular experience. It would have been much better if the game had multiplayer options. If PowerUp Forever is not what you're looking for, then also try the Royal Banquet Game for something unique and exciting.